Could the Eat Bulaga “Muslim Costume” Problem Be Fixed With Some #AlDub Goodwill? Filipino Muslims are up in arms over Muslim garb worn by Joey De Leon and Tito Sotto in Eat Bulaga’s Halloween broadcast. The two hosts wore a thawb, an ankle-length garment with long sleeves usually worn by Muslims. The local government of the Autonomous Region in Muslm Mindanao (ARMM) took offense to the costumes. ARMM Governor Mujiv Hataman said that the costumes “equated the Muslim garb as a costume to be feared, in the way that zombies and ghouls are to be feared.” Hataman demanded that Eat Bulaga issue an apology. “This display betrays an insensitivity by these hosts, as they equated the Muslim garb as a costume to be feared, in the way that zombies and ghouls are to be feared,” Hataman said in the statement. “On behalf of the Filipino Moro people, we demand that producers and hosts of the noontime show issue a public apology,” Hataman said. First, it’s definitely insensitive and inappropriate and at a minimum Eat Bulaga should apologize. Second, Governor Hataman exaggerates when he says that this equates Muslim garb as a costume to be feared, the way zombies and ghouls are to be feared. Governor Hataman seems to be unaware that while some Halloweed costumes are ghoulish — plenty of others are not. People dress up for Halloween as Superheroes, doctors, policemen, sports figures, movie stars, pirates, ninja turtles, and a near infiniite list of other characters that are not ghoulish or fearsome. So while it was inappropriate and deserving of criticism — it is not fair to say it turns the costume into something fearsome. The manner in which Tito and Joey posed in the costume also reinforces this fact — it is not depicted as fearsome. To interpret it that way is to overthink it. 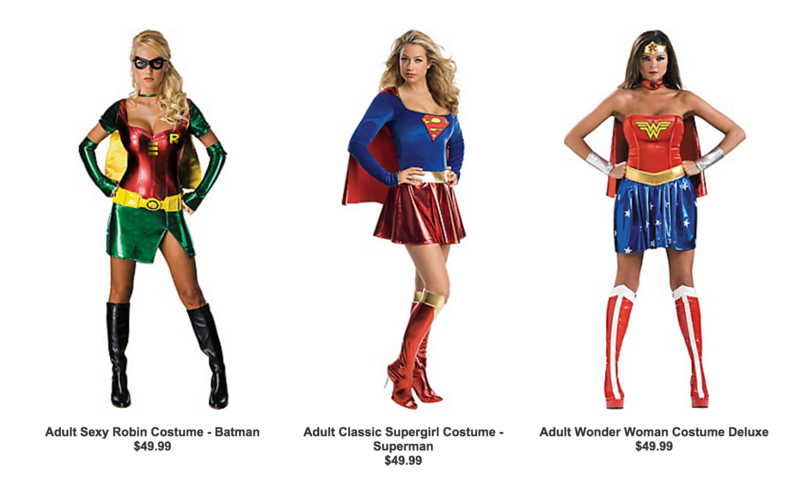 Here are samples — just google “superhero Halloween costumes” or “doctor halloween costumes” and you’ll see hundreds of these. Not all Halloween costumes are fearsome. Third — I think Eat Bulaga should consider going beyond a simple apology. I think they should channel some of the creativity and values-oriented writing that has gone into AlDub, into this situation, and come up with a way to turn this into more of a “teachable moment” — in the process displaying and encouraging Filipino values of respect and tolerance. I’m not sure exactly what this would be — and the writers and producers would have to be very careful to not misfire and just make matters worse. But some gesture is needed. One possibility would be to send a delegation from the show to Mindanao to meet respectfully with the Governor and deliver the apology while in the process filming a segment for the show that promotes awareness of Philippine Muslim issues and traditions. How about send the AlDub tandem (with Lola Nidora chaperoning, of course) on the mission? Think it through, EB Producers and writers. Turn this into something positive. You can do it if you try. Does Treating Trump as An Illegitimate President Play Into Putin’s Hands?